Byron Harmon (1876-1942) was an American photographer who eventually settled in Banff, Alberta, and made a name for himself with his prolific work capturing the scenery of Canada. "Claiming he would rather photograph mountains than people, Harmon launched a life ambition to photograph every major peak and glacier in the Rocky and Selkirk Mountains in as many moods as possible. In this pursuit, he became an avid mountaineer. 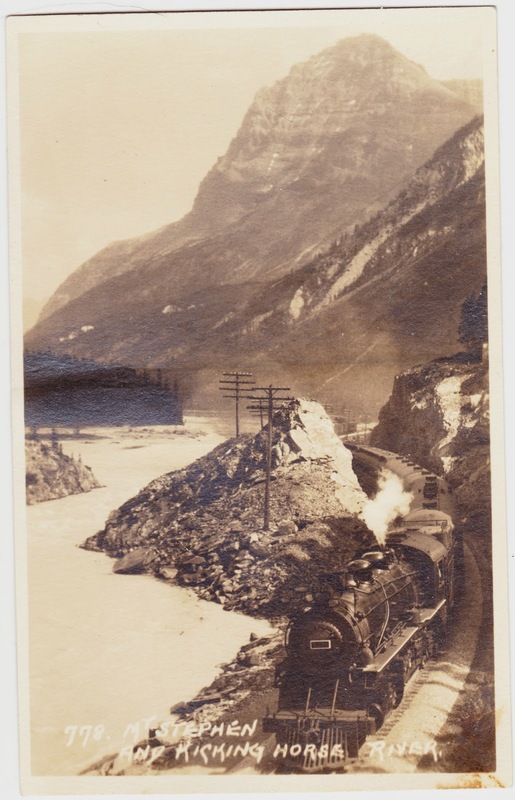 In 1906 he became a charter member and official photographer for the Alpine Club of Canada. Harmon organized and accompanied numerous expeditions, both with the ACC and independently. These expeditions were ground-breaking and daring, and resulted in thousands of still photographs and considerable motion picture footage, as well as prestige and international recognition." 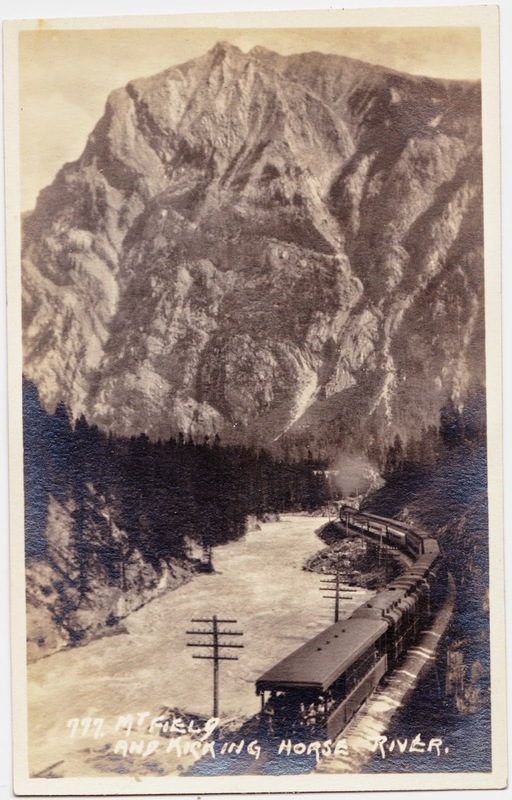 ALONG THE LINE OF THE CANADIAN PACIFIC RAILWAY. 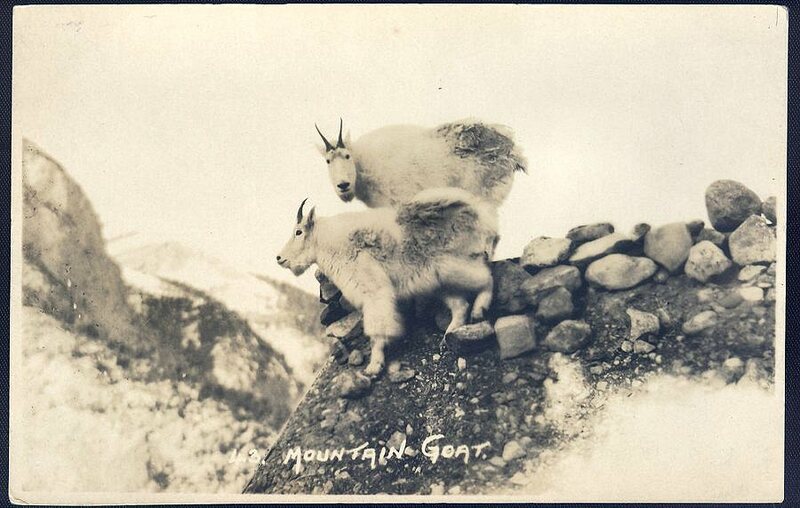 For more, check out the Byron Harmon collection on Soul Tones (which includes an amazing postcard of mountain goats). There are also a few book compilations of Harmon's photography, including Great Days in the Rockies. 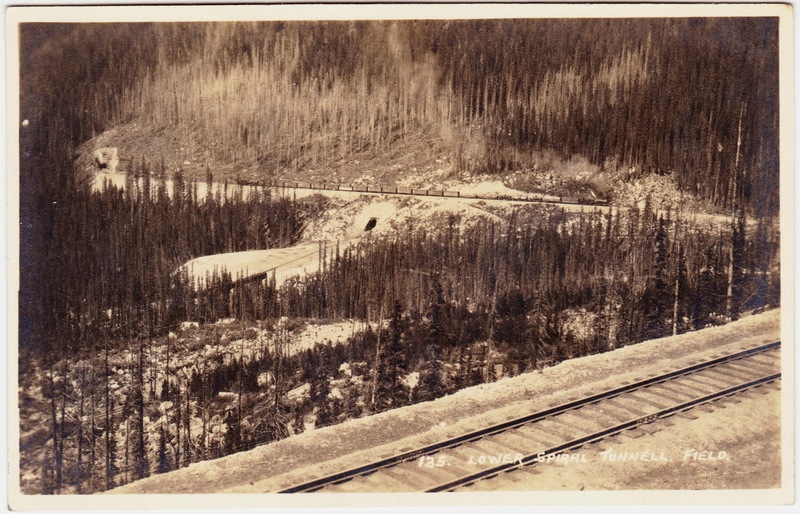 Also, if you happen to find yourself in Edmonton, Alberta, between now and August 17, you can check out an exhibit titled "High Adventure: Byron Harmon on the Columbia Icefield, 1924" at the Art Gallery of Alberta.